Tax Justice Network: Bill Gates: Is he just a hypocrite? 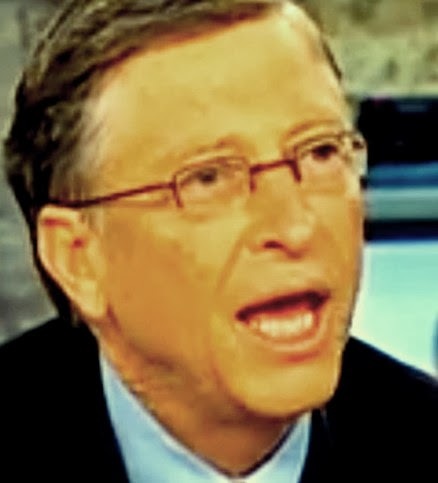 Bill Gates: Is he just a hypocrite? But like those other aid apostles Bono and Bob Geldof, he risks being perceived as a rank hypocrite. For he sees nothing wrong in complex tax avoidance schemes while telling nations how to spend their revenues, notwithstanding the growing body of opinion that aid undermines development and democracy by propping up poorly run regimes. Microsoft . . . uses sophisticated systems to shift paper profits around the planet and evade the designs of governments. Indeed, so extreme are its methods the company was used as a case study in a Senate investigation into US corporate tax avoidance, which found one example of offshoring profits through a tiny Puerto Rico office alone saved it $4m a day in taxes. A Harvard law professor pointed out that Microsoft's divisions in three low-tax nations employed fewer than 2,000 people, but supposedly recorded about £9.4bn of pre-tax profit in 2011 – more than the 88,000 employees working in all its other global divisions. In practice, of course, tax havens like Puerto Rico and Ireland are mostly used to book profits for tax purposes, and the super-productivity of their workforces employed in such places is largely if not entirely chimerical. TJN does not take issue with Bill Gate’s commendable interest in tackling the symptons of poverty. But we do take issue with the idea that philanthropy is a substitute for paying taxes, and we reject outright any suggestion that tax avoidance is acceptable because it is not proven to be illegal. Whether legal or illegal, the end result is the same: either public services are cut, or public debt increases as governments borrow to substitute for lost revenues, or someone else, typically far poorer, ends up paying more tax. Very often its a combination of all three, and the development outcome is nothing short of disastrous (take a look at Britain for example). His determination to push vaccinations and prevent malaria is laudable. But if he wants to discuss development, preach about poverty and tell nations how to spend taxpayers' money, he should put his own house in order first. Update April 2014: read on tax and corporate responsibility here.